In 1770 Captain James Cook in HMS Endeavour, on his way up the eastern coast of Australia, he saw the sun on the mountain which he named Mt. Warning. 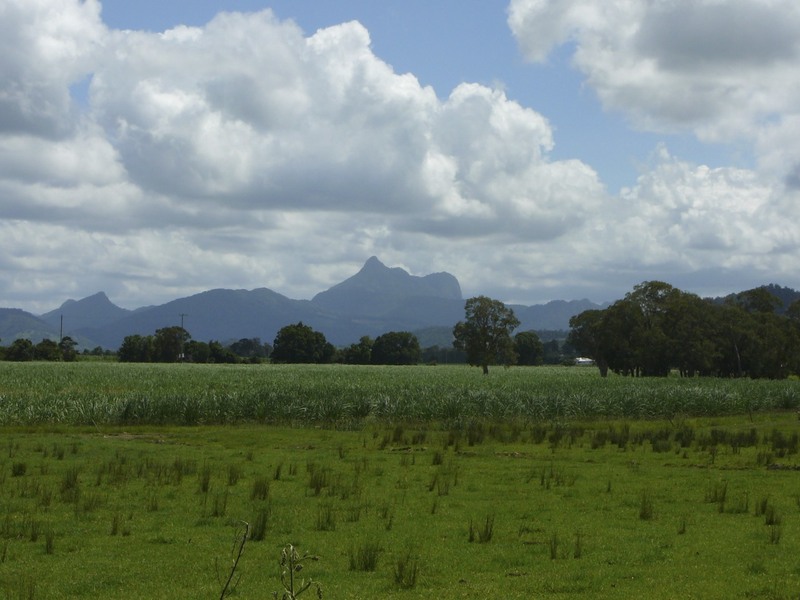 The Aboriginal name for the mountain was Wollumbin or Rainmaker. The Tweed was gradually opened up to selector farmers from 1866 to 1914. The first settlers tried many crops corn, arrowroot & opium, but finally settled on sugar in the late 1870’s as their staple crop. The sugar crop generated the need for sugar mills and much labour. Small mills at Bilambil, Tumbulgum & Cudgen were gradually replaced by two large ones the C.S.R. mill at Condong and the Robb Mill at Cudgen. The latter was one of the few ‘plantation’ mills in Australia staffed largely by South Sea Island labour. It did not survive the introduction of the White Australia Policy. The Condong Mill is still the economic mainstay of the Valley. 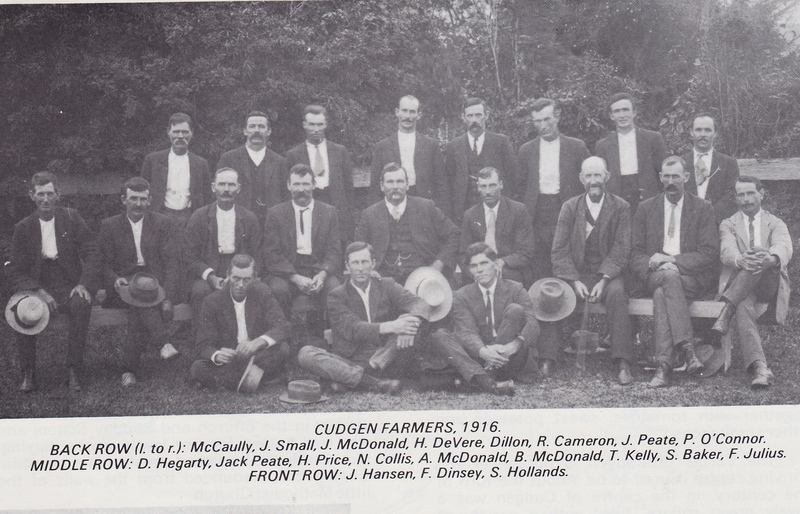 Cudgen an Aboriginal word meaning “red soil” is a rich volcanic plateau situated in Tweed River Vally between Murwillumbah and Tweed Heads. This area of Tweed was once the home of both the Coodjingburra Tribe and the Minjangbah People. In the early 19th century the “Big Cudgen Scrub” containing valuable red reader and other softwoods, lured the first timber cutters who were the pioneers of the district. 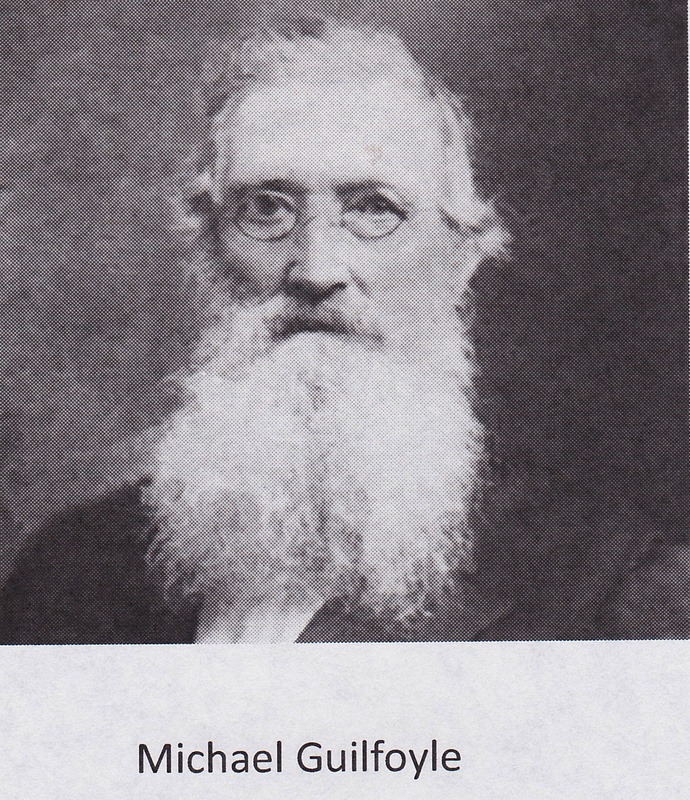 In late 1860’s they started to grow Sugar cane and produced sugar by infusion supplied by Michael Guilfoyle a noted botanist one of the enlist sealers in the Tweed. Frank Julius built his own sugar mill and in 180o the first crushing 2 years earlier than Condong (still in use today) at the time Cudgen was busiest place on the Tweed River with about 500 men employed at the mill and the plantation. After several years Julius sold to a Melbourne company Robb & Co with the experience from railway contracts, instigating the laying of the tram lines for transporting cane to the mill. 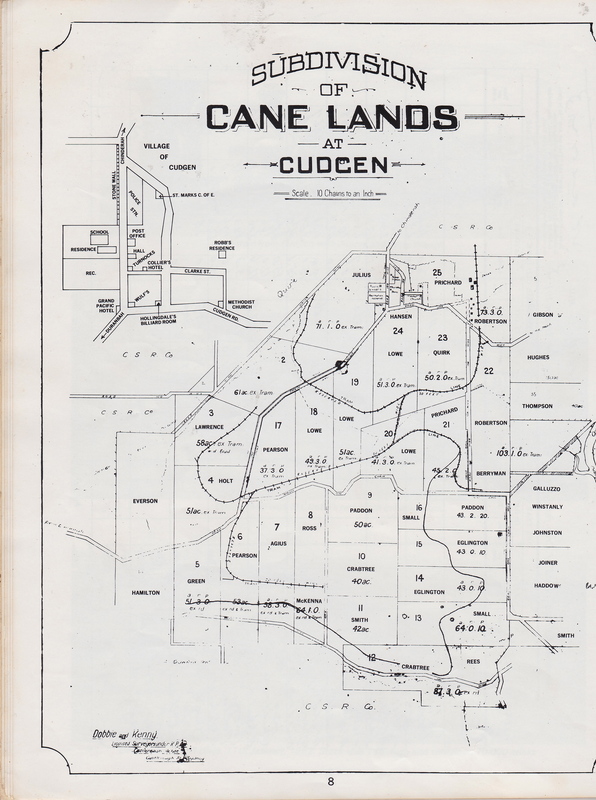 In 1911 Cudgen Plantation and mill was sold to C.S.R. Co and mill was dismantled, with main building moved to Condong Mill where it still stands. The plantation was divided into several smaller farms (a pox 40 acres) and sold. 1881 Anglican church was established and districts first school was also open in Chinderah and move to Cugen village in 1886. At the turn of the century, Cudgen Green was a lovely square filled with flowers flanked by 2 large hotels, 2 churches, Police station, Community hall, post office/store and Billiard room/Barber shop. Present day there is only houses and a school.